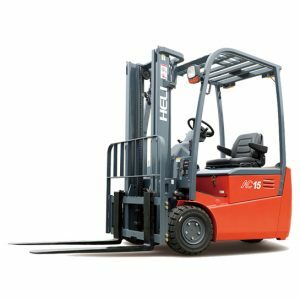 Xe nâng điện Jungheinrich 3 bánh model EFG 216kn là sản phẩm liên doanh giữa Jungheinrich và Heli. Low access steps. Large, level foot well with automotive pedal lay-out. Floating cab module cushions road shocks and vibrations. Clear view: mast and fork carriage allow for excellent visibility of the load. 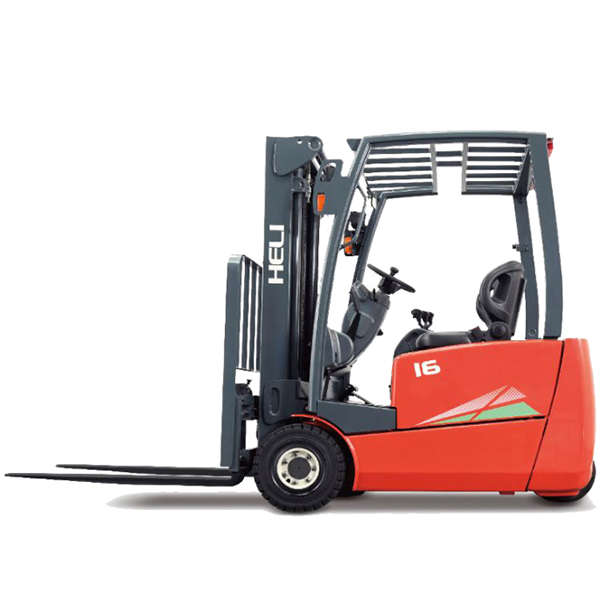 Hydraulic power steering is precise, requiring the minimal amount of effort without kick-back. Comfort Display provides up-to-date information on vital vehicle conditions at a glance. Regenerative electric braking and regular brake pedal use. Multiple oil disk brakes act as a safety back-up. Wear-free and fully enclosed. Curve Control automatically reduces travel speed when cornering. Very low centre of gravity improves stability and residual capacity. Electronic and hydraulic overload protection guard. 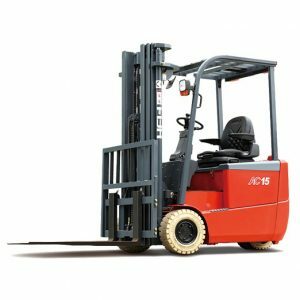 Proven AC technonlgy:2 drive motors, hydraulic pump motor, steering motor. High performance, low energy consumption, less maintenance. 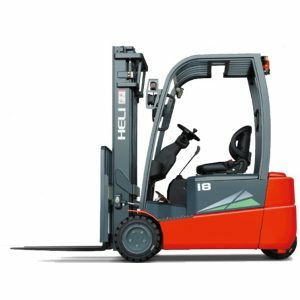 High torque for rapid work cycle. Up to 15% higher energy efficiency than shunt motors. No brushes, no collector-no maintenance expense. Fully enclosed and protected to IP 54. Long life, even under dusty and damp conditions. Board Control electronic system permanently controls and monitors all truck functions. 5 application programs can be individually adapted to ensure optimal performance in any application. Diagnostic system monitors all components and provides service data memory for rapid and cost-effective maintenance. Comfort Display with digital service hour meter (actual or cyclic duration factor), battery discharge indicator plus lift cut-out, clock, error code and warning displays. Electronic steer wheel position indicator.